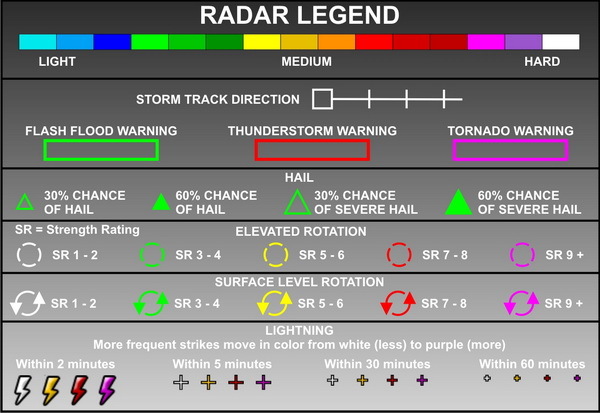 Click here for animated radar imagery. Algorithms produce this table. They may misrepresent observed conditions.